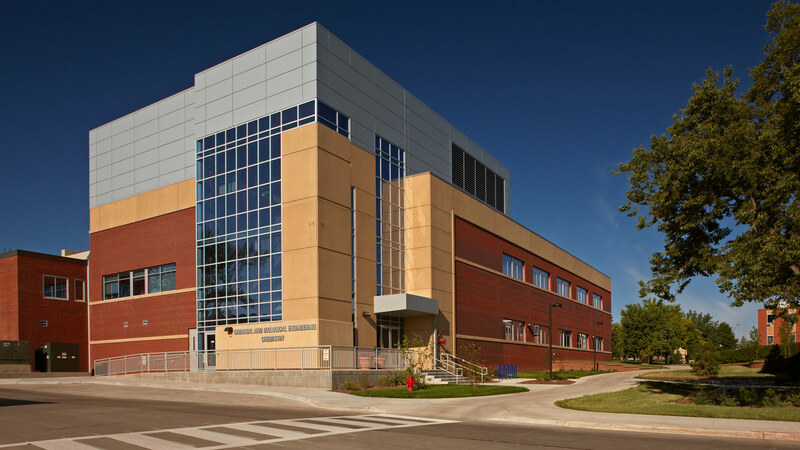 TSP + SmithGroup collaborated with partners from RFD to design the 58,200 sf Chemical and Biological Engineering + Chemistry Building on a prominent corner of the SD Mines campus. 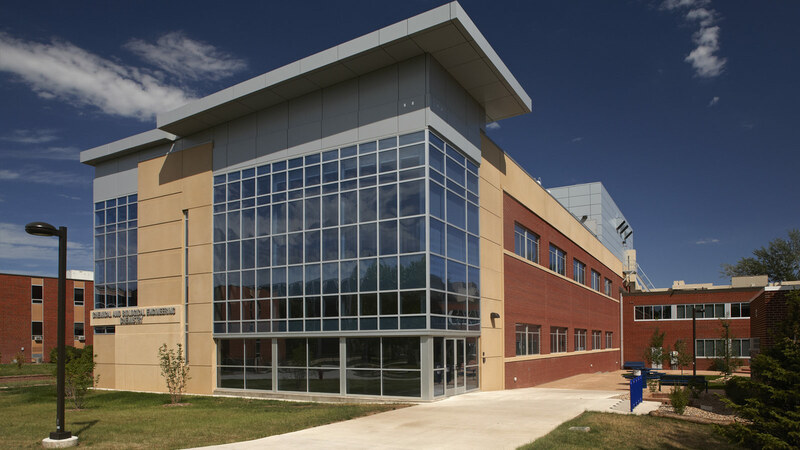 This state-of the art facility provides maximum versatility for lab and classroom configurations, supported by a highly technical network of HVAC and plumbing systems. 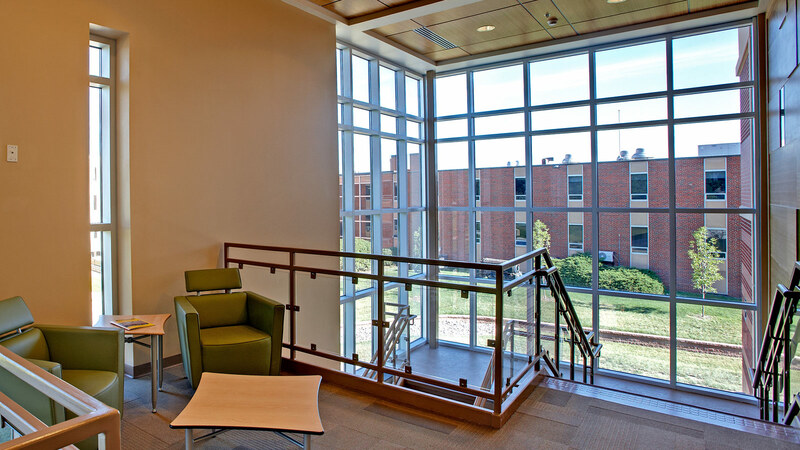 In all, the CBEC Building includes teaching labs, associated faculty research labs, lab support, classrooms, offices, interaction spaces, and general building support areas. 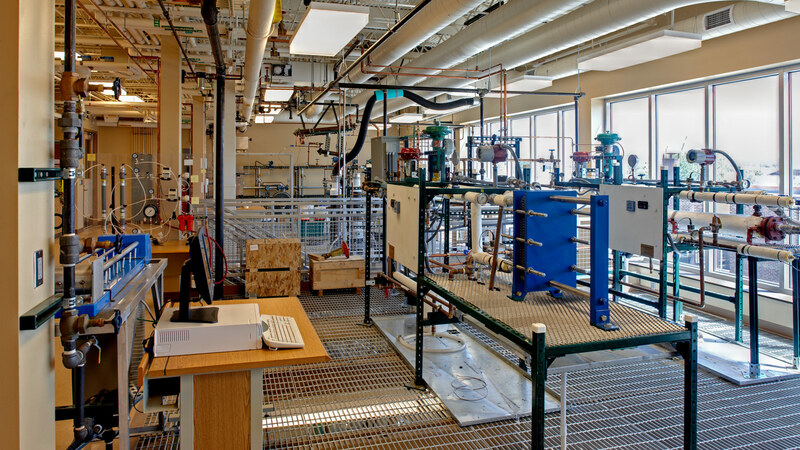 Mines’ instructors see optimum function in lab spaces, where they can teach multiple courses within the same spaces. The TSP + SmithGroup team programmed the labs with a modular design grid. This creates standard dimensions for units within the labs and establishes the placement of walls and partitions. As program and building needs change, partitions can adapt and relocate without requiring reconstruction of structural or mechanical elements. Movable student workstations allow a variety of configurations even within the modules themselves. Academic/research laboratories follow a similar open concept. Laboratory benches are assigned based on the population of the groups working in a given area. 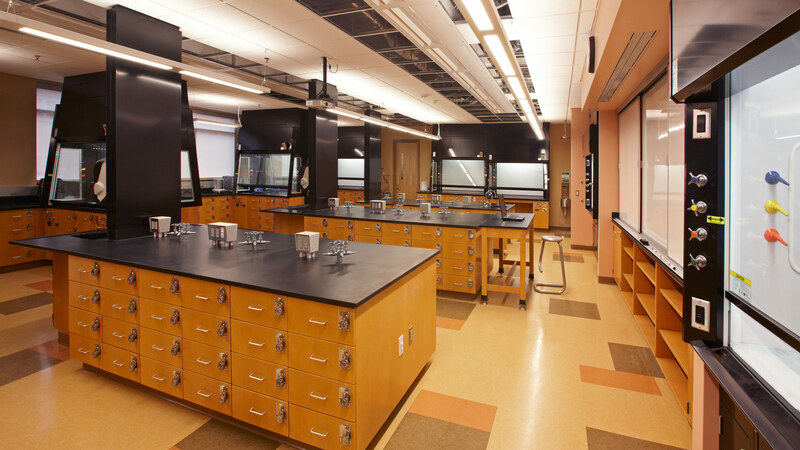 Therefore, the laboratory casework and overall laboratory layouts can accommodate various disciplines’ needs. The project’s technical complexity demanded innovative solutions to create building systems capable of supporting laboratory functions. TSP’s in-house engineers excel at exploring unique system possibilities. In doing so for CBEC, we created groundbreaking designs to match the activities taking place within the building.